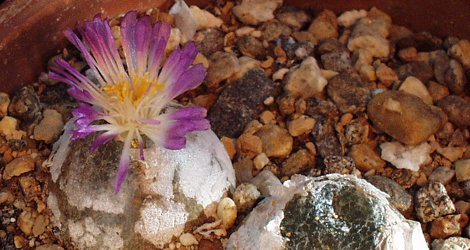 Description: Bizzare sphaeroid leaf succulent, perpetually ensheathed in the papery remains of previous years' leaves. 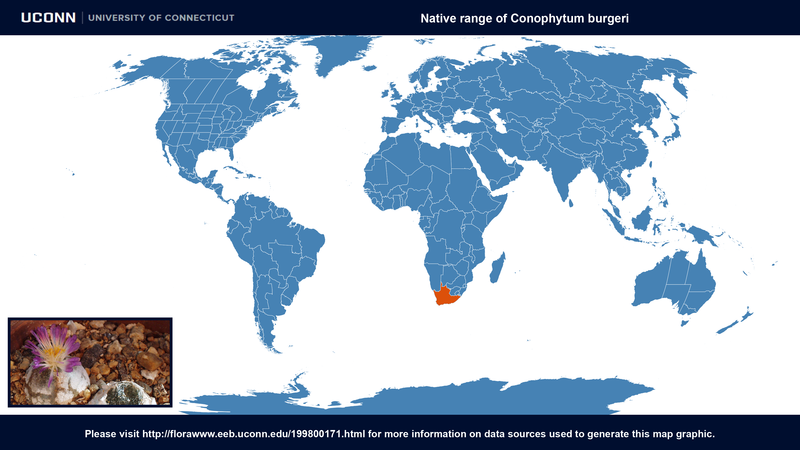 Culture: See Growing Conophytum burgeri at Burger's Onion for detailed cultivation information. 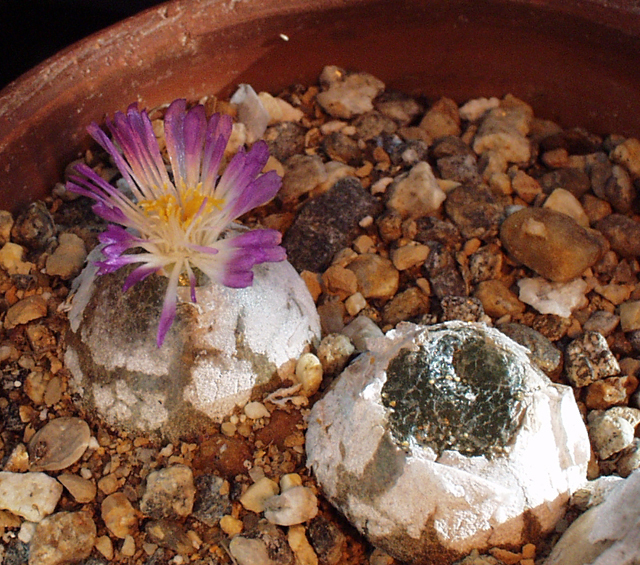 Conophytum burgeri at ARS-GRIN. Last accessed on Tuesday, September 26, 2017.